BendPak's HD-Series wheel alignment lifts are engineered to meet the strenuous demands of even your toughest professional lifting jobs. Designed into every HD-Series lift is a laundry list of key features as long as your arm to ensure that BendPak is the absolute best you can buy. Our competitors might say we overdo it, but we don't include components for the sake of frills and flash. 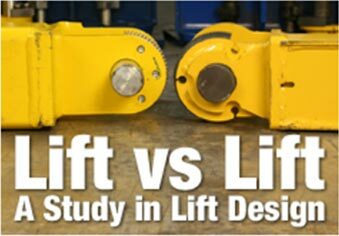 We design our lifts with the attributes we feel should come standard with every lift—the kind of lift we would want to (and do) own. Take the HD-27A for instance. This is the sturdy beast you want as the backbone of your shop; especially if you want to specialize in servicing heavy trucks. Our wheel alignment system features front turn plates and rear slip plates built right into the runways. The wheels always respond to your adjustments with no resistance or hassle. We call it "free floating." You'll call unbelievably easy. 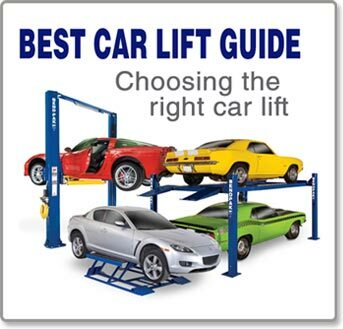 It's just another way that you can bet on BendPak lifts for increased durability, safety and productivity. Spend less time worrying about what you're working under and more time doing what you love. Our commercial-grade lifts are second to none and recognized the world-over as benchmarks of dependability and quality. Heck, it's how we got our slogan. Love the wheel aligning convenience offered by the HD-18A, but need more lifting power or longer runways? Consider the 18,000-lb. capacity HD-18A, the extended 27,000-lb. capacity HD-27XA, the 35,000-lb. capacity HD-35A and its extended version HD-35XA. The HD-27A is equipped with multiple adjustable height locking positions for variable-height parking. A convenient push-button pneumatic safety lock control releases all four independent safety locks simultaneously. 12" x 12" base plates provide a solid foundation for the HD-27A. Multi-caster slip plates in the back and turn plates in the front allow for extremely precise, free-floating wheel alignment. Multiple turn plate pockets let you position the turn plates in the location best suited to individual vehicle positioning. Provides for more clearances related to allowable equipment installations. Perfect your wheel alignment setup. Each column has these adjustable safety ladders for multi-position leveling.